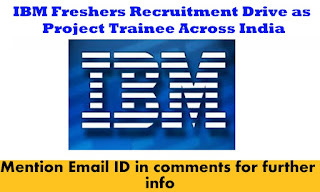 IBM is one of the best companies in India in the field on IT and Non IT , every year IBM offers a huge number of jobs for openings Freshers as well as Experienced . working in IBM is one of the biggest milestone in carrier . 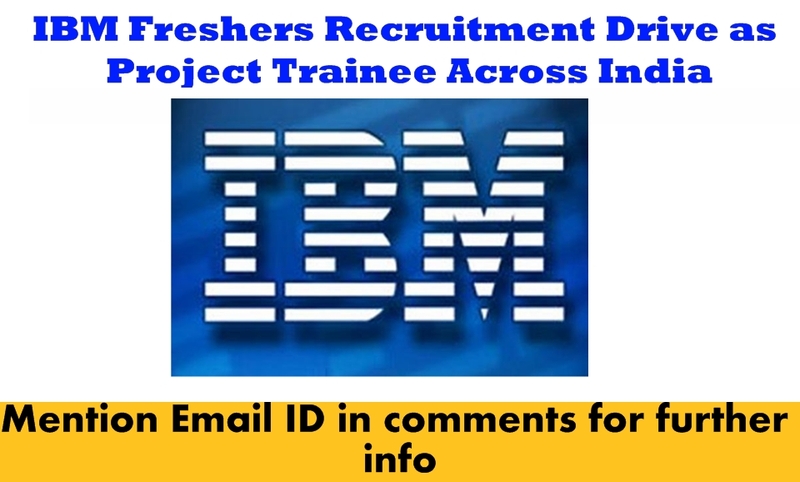 Usually IBM provides Job Openings , conduct the interviews in 3 rounds, for freshers mostly Written Test followed by interview rounds. Fresherswalkinz provides regular updates on recent job Openings , Direct Link is provided in the bottom of the post to proceed application .